Nearly every human language is named after the people who spoke it, from ancient Egyptian, Hebrew and Greek, to modern tongues such as English, German and Chinese. And then we have the language of the ancient Romans: Latin. Why do we call it that, rather than "Roman"? The Latin language is named after the area it was spoken in — or the people that spoke it. (It is impossible to distinguish the two.) Latin, by name, is the language of Latium (Lazio in today's Italian), not the language of Rome. Alternatively, you can see it as the language of the tribe of Latins. Latinus is the Latin adjective meaning "related to Latium". The people inhabiting Latium were called Latini and their language lingua Latina. Why did they choose to name it after Latium instead of Rome, then? After all, lingua Romana would be a reasonable name for the language. The reason is that Rome was not such a significant city by the time the language got its name. In other words, the area of Latium and their language is older than Rome. It just so happened that a small subtribe eventually took over and the language became associated with one city. 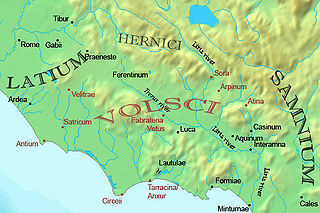 The word latin comes from latinus, "of Latium," a region in central Italy. In this territory, around the turn of the first millennium BC, lived a tribe known as the Latins, and their language was the immediate predecessor of Old Latin. Rome's founding within Latium, and its dependence on the Latins, help explain why the older term (Latin) was retained to describe the language, rather than the newer (Roman). William Cleaver Wilkinson suggests the explanation that Rome considered literature "a subordinate interest" compared to conquest, law, and history. The Latins referred originally to an Italic tribe in ancient central Italy. They were living between 1200 BC and 1000 BC. From about 1000 BC, the Latins inhabited the small region known to the Romans as Old Latium (Latium Vetus), that is, the area between the river Tiber and the promontory of Mount Circeo 100 kilometres (62 mi) SE of Rome. Not the answer you're looking for? Browse other questions tagged vocabulary history place-names or ask your own question.